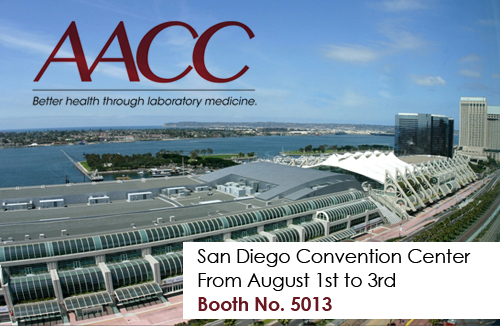 The 69th AACC Annual Scientific Meeting & Clinical Expo in San Diego is the world’s premier gathering for laboratory medicine, with 20,000 laboratory scientists from a broad range of specialties expected to attend. Its leadership in education, advocacy and collaboration helps lab professionals adapt to change and do what they do best provide vital insight and guidance so patients get the care they need. CerTest Biotec, as a leading company in the diagnosis of infectious diseases, participates in this edition with its own space, where will showcase the latest developments and innovations of its product families. VIASURE has more than 50 available references. Venue: San Diego Convention Center. San Diego, CA. Date: From August 1st to 3rd.